“The most powerful weapon of parliamentarians is dialogue,” said Stefan Schennach, an Austrian Socialist who argued in favour of a limited suspension. “Demands to deprive Russia of its mandate are political extremism and a path to the ‘Cold War’ and the end of Europe-wide parliamentary dialogue,” the head of the Russian delegation, Alexei Pushkov, said on Twitter. “We are now leaving this session in a sign of protest and reserve the right to consider the issue of our further participation in the Parliamentary Assembly of the Council of Europe,” Interfax quoted him as saying. 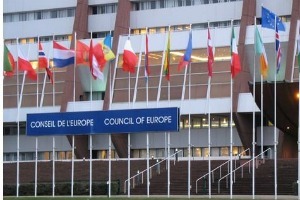 The Council of Europe is known for drawing up the European Convention on Human Rights, which entered into force in 1953 and established the European Court of Human Rights. It presses Europe’s governments to uphold human rights and democracy. Armed pro-Moscow protesters are still occupying Ukrainian government buildings in two cities in the largely Russian-speaking east after police earlier this week ended a third occupation. Ukraine’s new pro-European government says the occupations are being encouraged by Moscow. The European Union and the United States have responded to Russia’s annexation of Crimea by imposing targeted visa bans and asset freezes against Russian and Ukrainian individuals. But some commentators and analysts doubt Europe’s readiness to follow through on threats to pursue punitive economic measures given the dependence of some EU countries, particularly those in eastern Europe, on Russian gas and trade.